Ride Idaho :: Idaho's finest cycling adventure. You’ve never seen Idaho like this before. Camp out under the stars. You're sure to get some exercise. PJ Destiny will be Rock'in us in Salmon. Good Grief tent & porter service. Plenty of time to relax. Enjoy sunrise with your best friend. 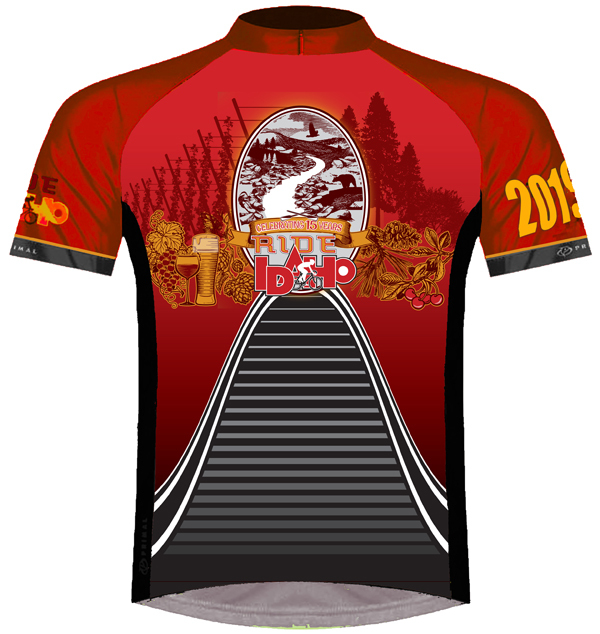 Registration for the Amazing 2019 Ride is Now Open! 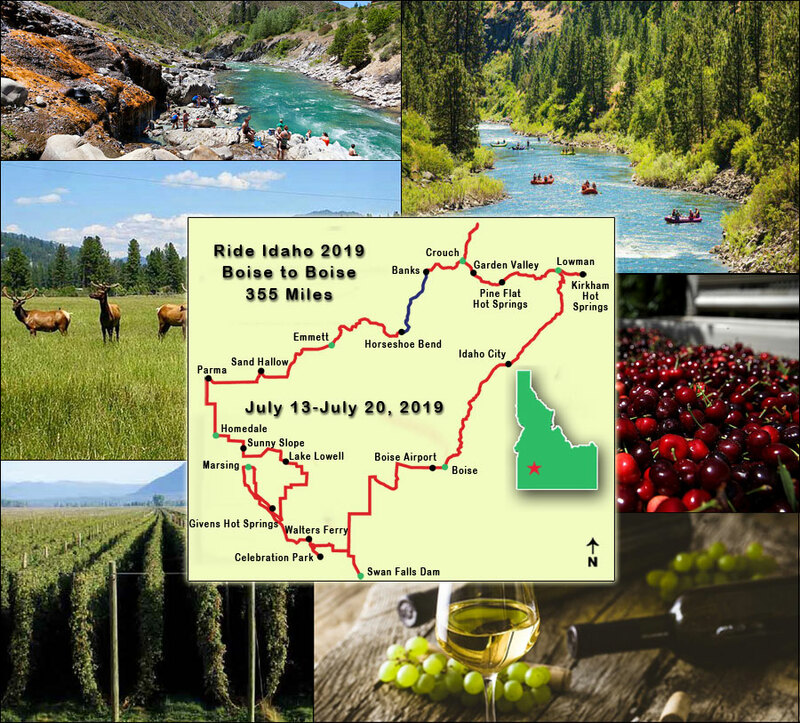 2019 will mark the 15th anniversary of Ride Idaho celebrating and showcasing the beautiful State of Idaho and we are happy to announce that it’s returning to its origins of Boise and the Treasure Valley. Idaho is known around the world as the potato state however we’re going to show this year’s riders what Idaho is really about. Boise, where our week will begin, is the state capitol and has become a city that is attracting numerous corporate headquarters and thousands of new residents. It has become known as one of the most livable cities in America. The popularity is a reflection of the location, climate, and the recreational opportunities. There are several rivers and lakes within an hour’s drive that are attracting kayakers and rafters from all over the world. There are several major ski resorts in the area including Bogus Basin which is 18 miles from the city and offers night skiing where the lights are visible from many locations around the valley. If you’re into football, you’re sure to know about Boise State University and the famous blue turf, so don’t miss out on a photo opportunity. The Boise River that runs through town along the 25 mile greenbelt, will attract thousands of tubers and rafters during the warm summer days and entertains locals and visitors with over 25 points of interest, including the University, parks, museums, shops, and restaurants. Boise is home to the largest Basques population outside of Europe and this vibrant culture is celebrated at its own city block in the downtown area, be sure to include a visit to the Basque Museum and taste the authentic foods prepared there. Biking is big throughout the Treasure Valley for cruisers, roadies, and mountain bikers. During the month of July alone there are six major events, the Tandem Rally, 4th thru the 7th, Twilight Criterium and annual Kids Ride with Kristin Armstrong 13th, Gran Fondo Hincape 14th, Four Summit Challenge and the best of all Ride Idaho. If soaking in a natural hot spring is on your list, we’ve got you covered, several times. If you’ve always been wanting to experience white water rafting, check that one off your list too. You will spend 2 ½ hours on a beautiful scenic river, with a grin from ear-to-ear. Have you ever wondered where that special and necessary ingredient in beer comes from, “Hops” ? On day 4, you will not only be amazed by the uniqueness of the hop fields, but you’ll get an education on how they’re harvested and their importance in the process of brewing beer. Did you know hops are a cousin of cannabis and acts as an anti-aging agent, Salute! Many states boast about their wine regions, and Idaho is no different. Sunny Slope is one of those regions and on day 5, you will be riding through several vineyards and wineries with opportunities to stop and taste some of Idaho’s best. You may not see many fields of famous potatoes on this route, but by the end of the week you’ll realize that Idaho is an important producer of fruit and several other agricultural crops and that dairy plays a significant role in the economy. We are incredibly excited for this year’s ride and to celebrate fifteen years of fun, adventure, and long lasting memories.